Address: 6404 19th Street N.
Open: Sunday, December 9 from 1-3 p.m. 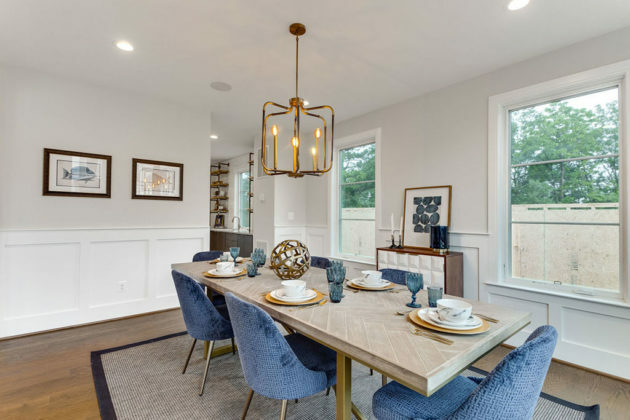 Located across the street from the East Falls Church Metro station, this custom 9-home community by Classic Cottages has two homes left, both of which feature the popular Fairfax model. The Fairfax model home for the community is available for immediate delivery and for sale at $1,538,000. 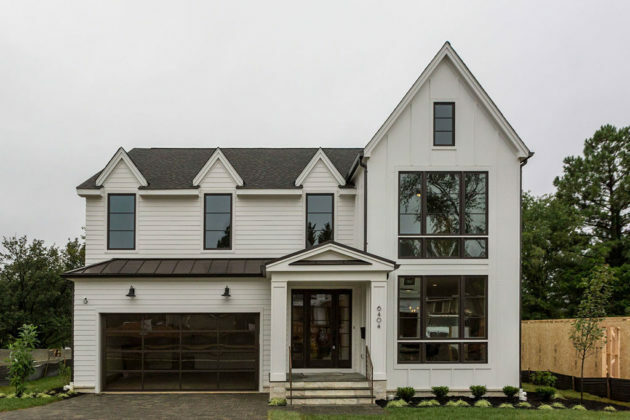 Featuring 5 bedrooms and 4.5 bathrooms, this spacious, modern home incorporates textural elements within every room. The gourmet kitchen on the main level features an oversized, gray quartz kitchen island with room for 4-6 counter stools. 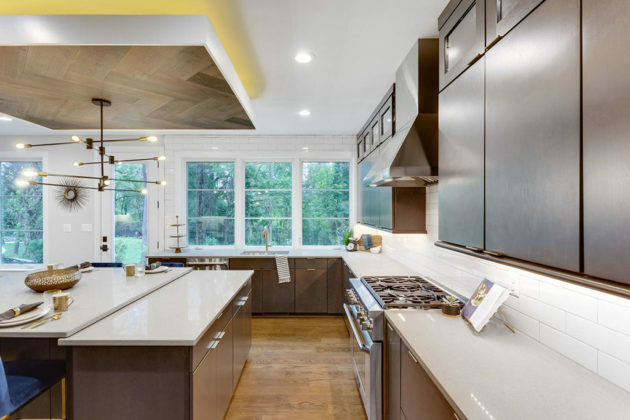 Kitchen also features dual ovens, large stainless-steel sink, espresso cabinetry, grey quartz countertops, large windows, wood herringbone dropped ceiling, white subway backsplash and bronze and gold accent details. Combined, this modern kitchen encompasses cool and warm elements to achieve a neutral, sophisticated look. 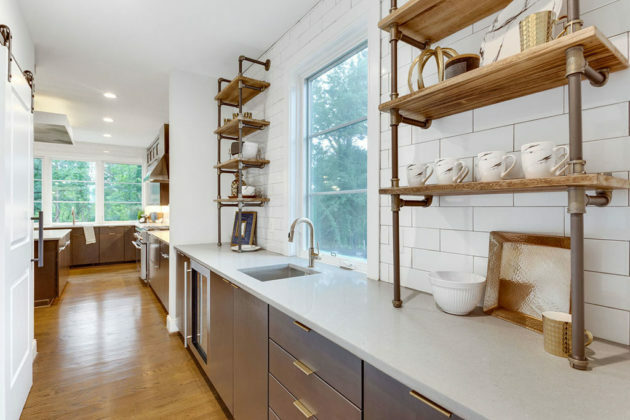 Off the main kitchen is an expansive butler’s pantry with a separate butler’s pantry sink and walk-in pantry with plentiful shelving and a sliding barn door. A bright dining room meets the butler’s pantry and connects to the main foyer with large, natural-lit windows. 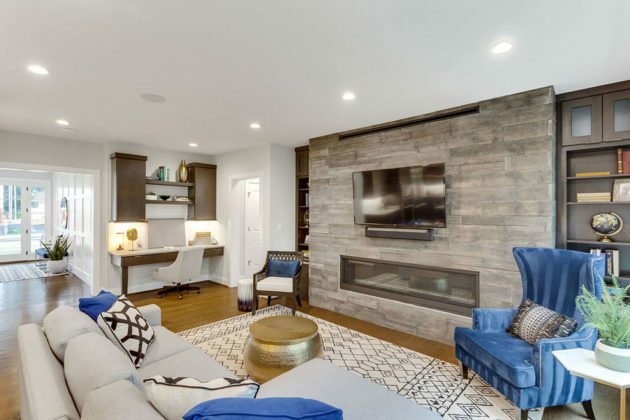 The family room offers a cozy, intimate feel with built-in shelving on either side of the wood surround gas fireplace which partitions the family room and the bonus room, allowing convenience and multi-purpose use. On the second level, you’ll immediately find a welcoming loft space. There is one private en-suite across the from the loft space and two other bedrooms share a separate bath on the main hall. 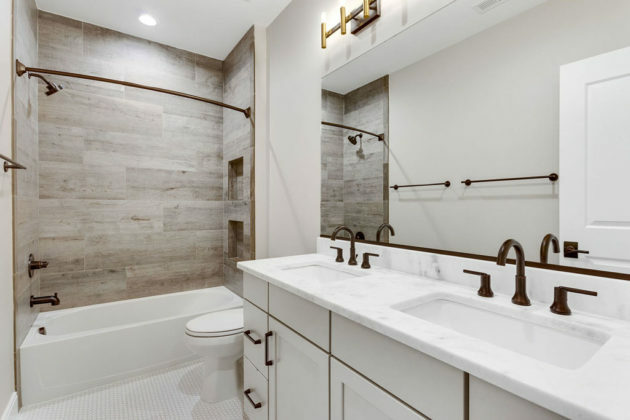 Conveniently located on the second floor is a large laundry room with a stainless-steel sink and butcher block counter for folding. 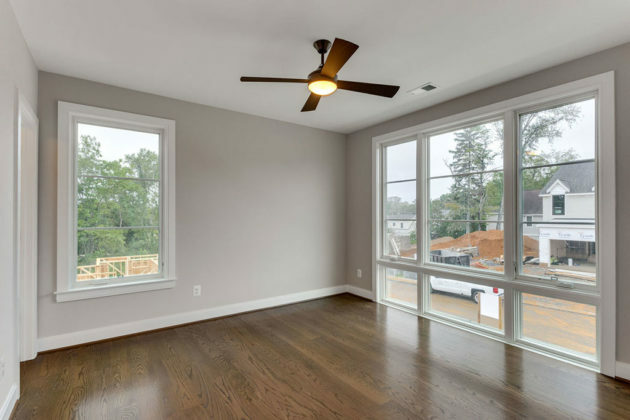 The spacious master suite features wainscoting details on all four walls set below the large bedroom windows. 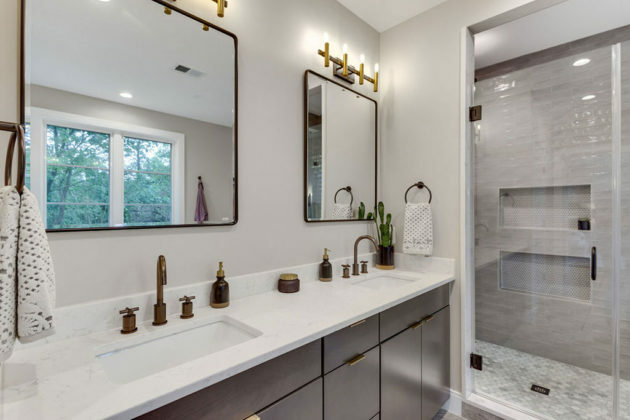 The master suite has walk-in his and her closets, dual vanities, make-up vanity, shower and freestanding tub. On the lower level of this home you’ll find a fitness room, open entertainment area with wet bar and another bedroom with a private bath. 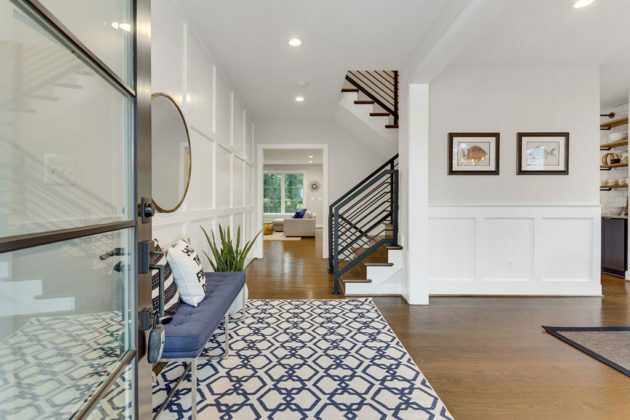 This home features a mudroom on the main level that connects to the attached 2-car garage. Furniture pictured is available for purchase with the home. Inquire for details.